Please join the Jewish Federation’s Community Relations Council on Thursday, January 17, 2019 when the JCRC Speaker Lecture Series presents:“ Defining Anti-Semitism and Why It Matters”, a conversation with Mark Weitzman of the Simon Wiesenthal Foundation at 7:30pm in the Sam Lerner Center for the Cultural Arts at Shalom Park. In wake of the deadly attack on Pittsburgh’s Tree of Life Synagogue, we will hear from the world’s leading expert on the history and modern manifestations of Anti-Semitism and Holocaust denials. Join us as Mark shares how he and his collogues worked for years to create a globally recognized definition of Anti-Semitism as a means to combat hate worldwide. 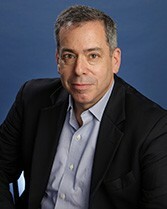 Author of several books and essay on Anti-Semitism and Holocaust denial, Mark Weitzman is the Director of Government Affairs for the Simon Wiesenthal Center and the Chief Representative of the Center to the United Nations in New York. He is a member of the official US delegation to the International Holocaust Remembrance Authority (IHRA) where he chaired the Committee on Anti-Semitism and Holocaust Denial. He spearheaded IHRA's recent adoption of the Working Definition of Anti-Semitism, which is the first definition of Anti-Semitism with any formal status. He also was the lead author of IHRA's Working Definition of Holocaust Denial and Distortion, which was later adopted by 31 of IHRA’s member countries. For more information, please contact Laurel Grauer, Director of Community Relations & Israel Affairs, laurel.grauer@jewishcharlotte.org or 704.944.6751.